The Aristois client has been updated to Minecraft 1.10.2 and is now working for Minecraft Realms! It is packed with over 70 features and comes in a decent filesize (lightweight). Works for both Windows, Mac OS and Linux. Besides this, Aristois client comes with built in OptiFine mod. Choose the newly created profile “Aristois” and click “Play”. Chose the newly created profile “Aristois” and click “Play”. Follow us on Facebook for latest updates & hacks! 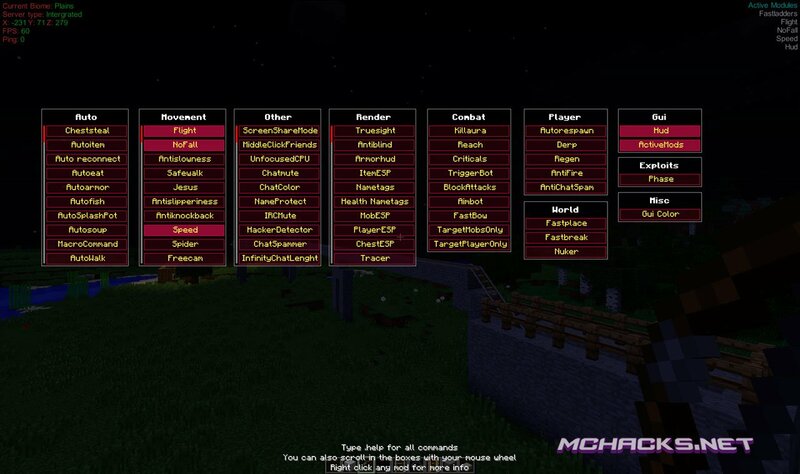 © 2019 MCHacks.net - MChacks is not affiliated with Minecraft or Mojang in any way.